Everything is buried for a reason. Richard and Juliette Willoughby live in an old farmhouse in North Yorkshire. 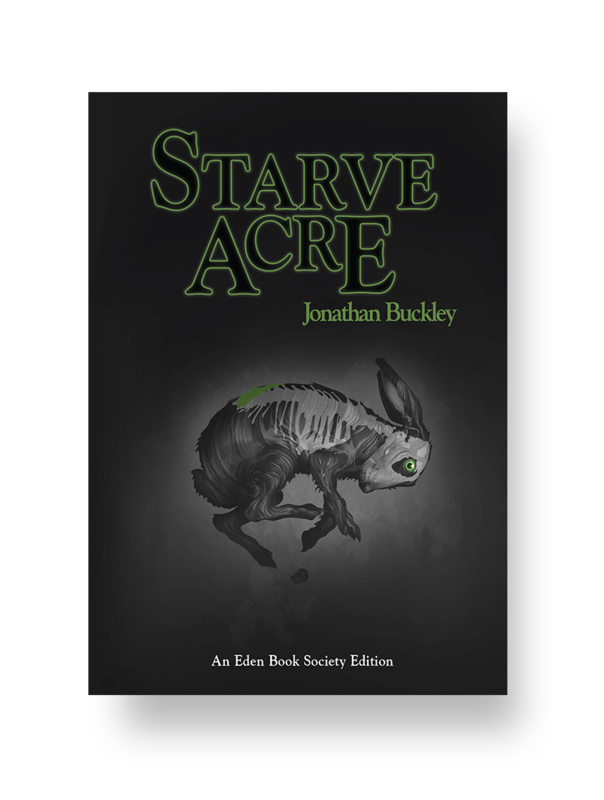 The place has been called Starve Acre since anyone can remember. Nothing grows there. There are tales of something interred in the field behind the house. The villagers disagree on what is buried there, but they all know one thing: what was put in the ground should stay in the ground. Historian Richard decides that he is going to unearth the local mystery for his next book, but he digs up something that only the past can understand. When he brings it into his home, terrible mistakes will have to be relived. When it was first published in 1972 Starve Acre it prompted an outcry when it was brought to the attention of the British press who described it as obscene and grotesque. It wasn’t the first book to bring attention to The Eden Book Society, but its portrayal of an England with a cruel and superstitious past went further and enflamed public opinion at the time.